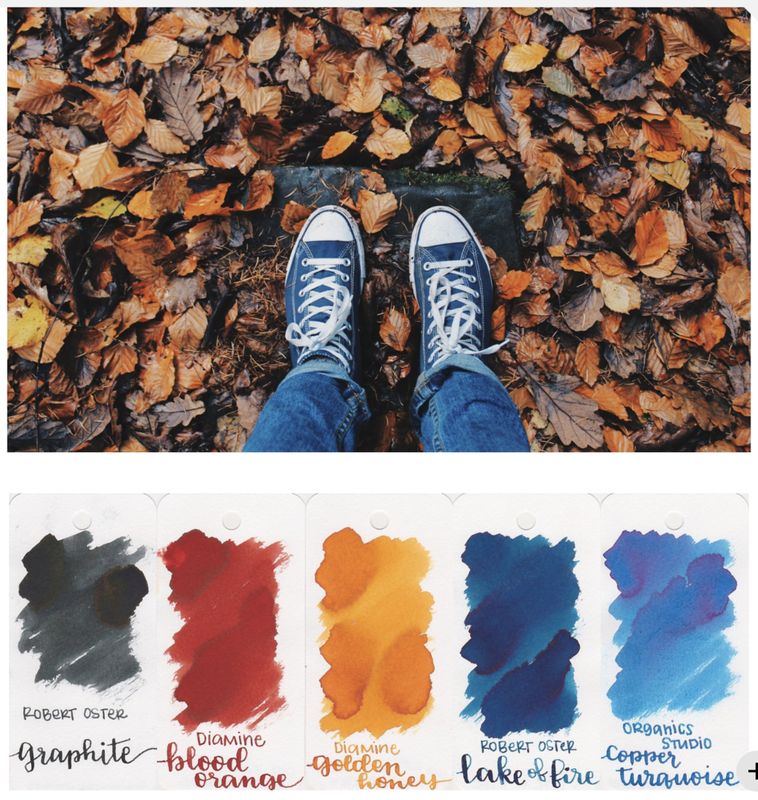 What's the first color that comes to your mind when you think about fall? Is it orange and black, like Halloween, or is it red and yellow leaves? The number one thing I always think of when I think of autumn is the leaves. The oranges, reds, yellows, and browns, but sometimes there are other colors that fit really well too, like dark blues, purples, and greys. 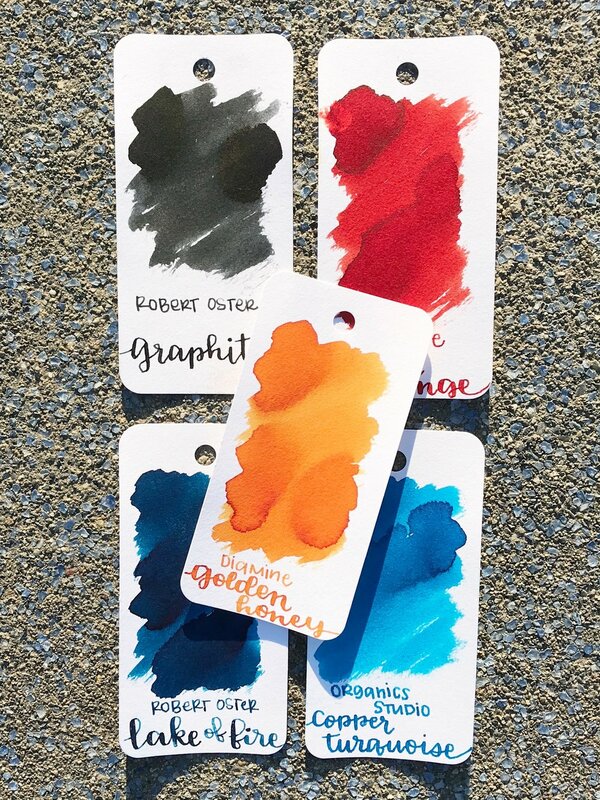 I've really been getting to know Diamine and Robert Oster inks this year, and there are so many great colors out there. Let's take a look at the inks individually. I love Robert Oster inks, and I love grey inks, so this one is a winner. Some days I think this ink is more red, and some days I think it's more orange. Either way, it's an interesting color. I love this yellow-orange hue. It's so bright and happy. Lake of Fire is a nice dark blue with some great shading. I really love the pink sheen, and it's a nice shade of blue. 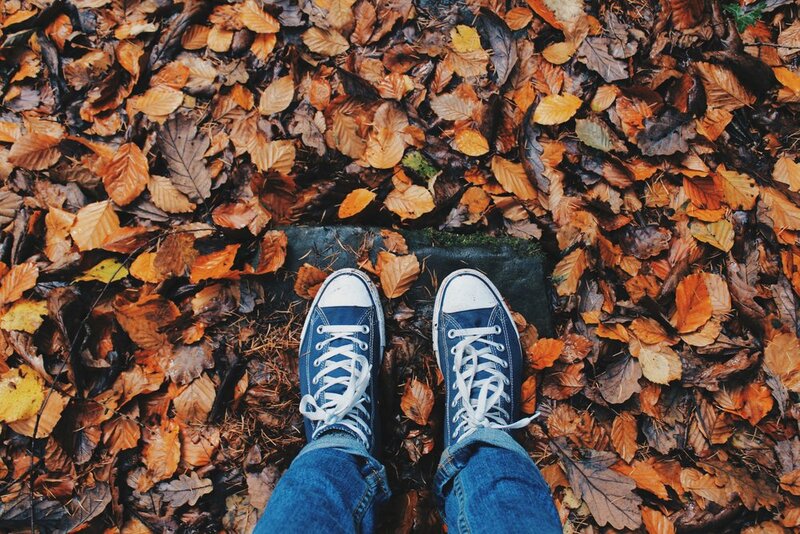 Where are your shoes taking you this fall?